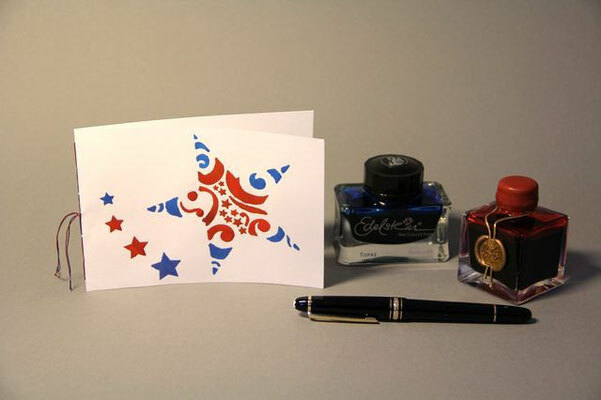 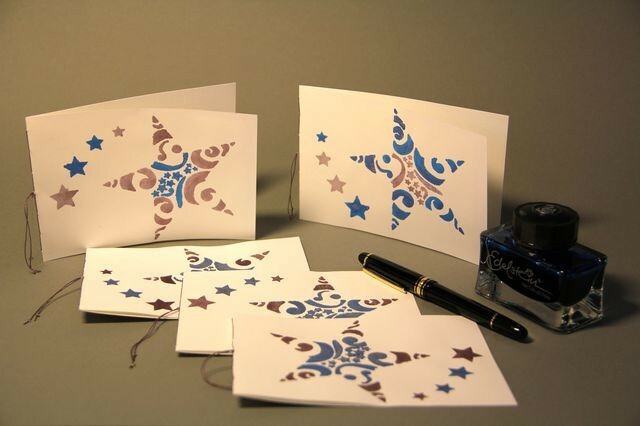 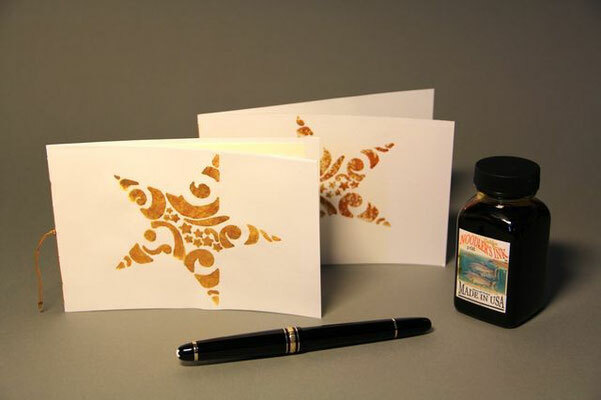 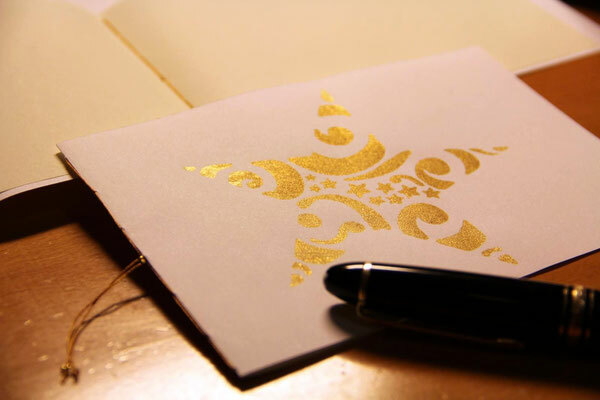 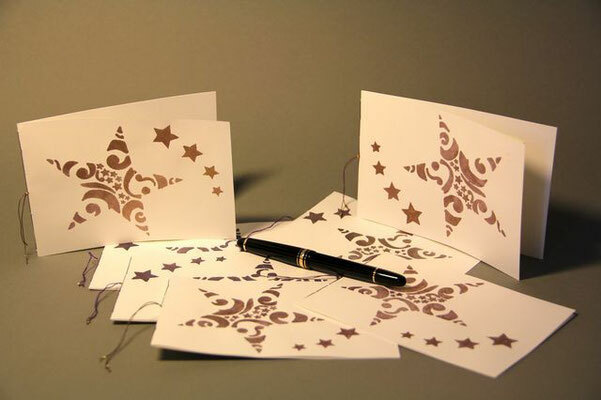 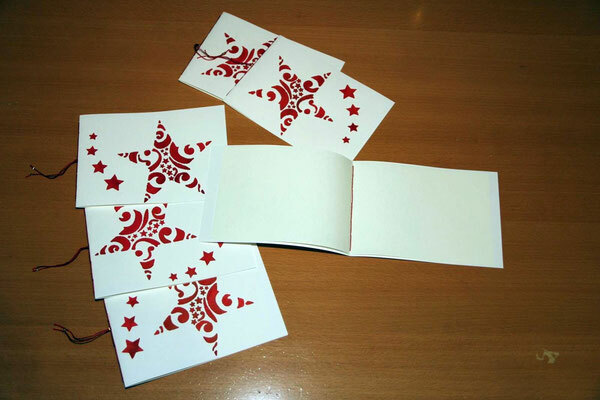 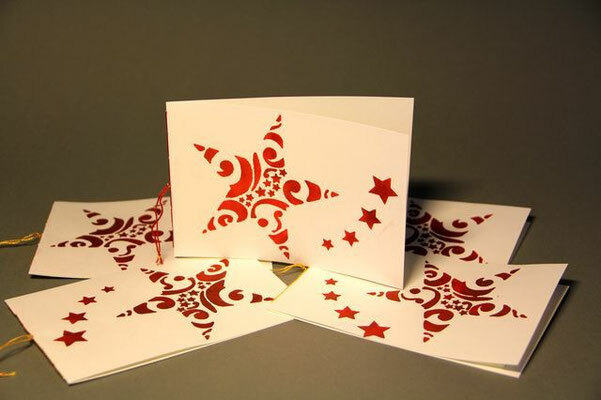 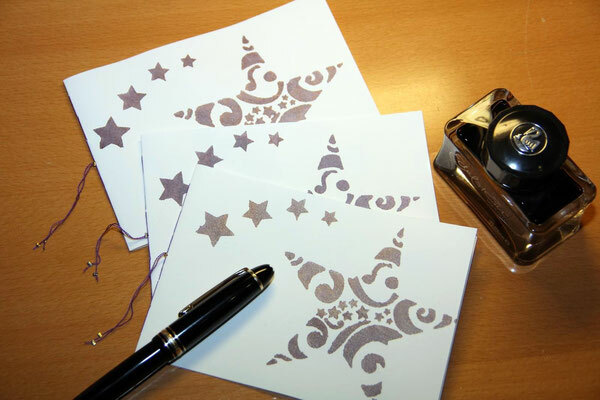 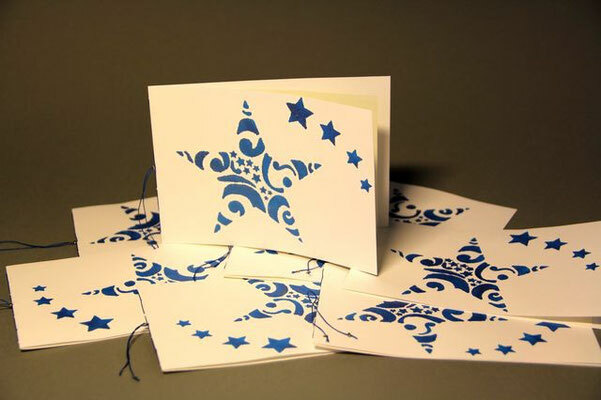 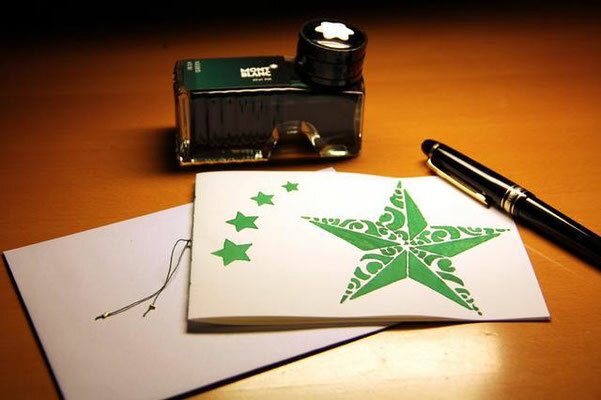 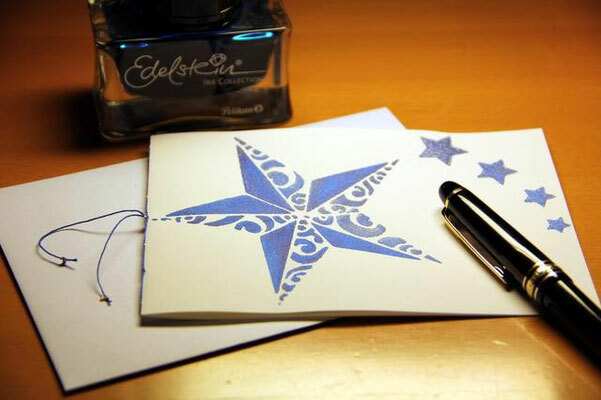 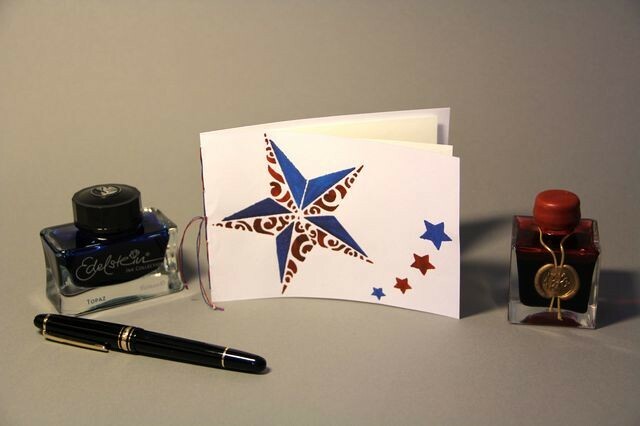 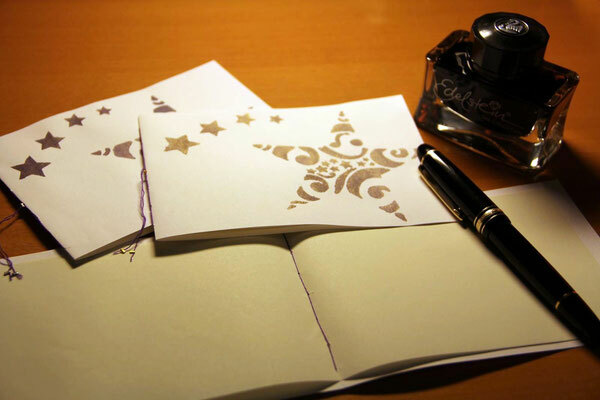 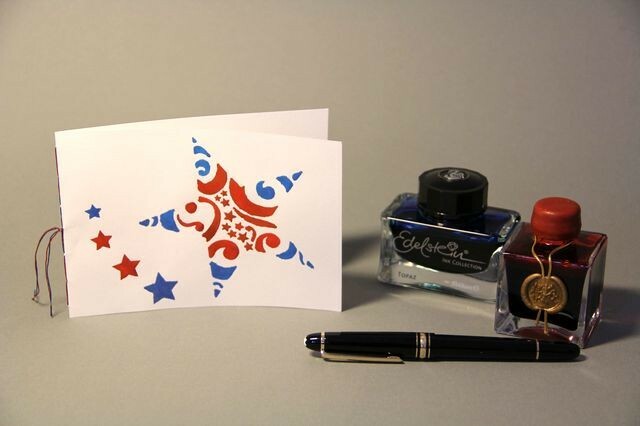 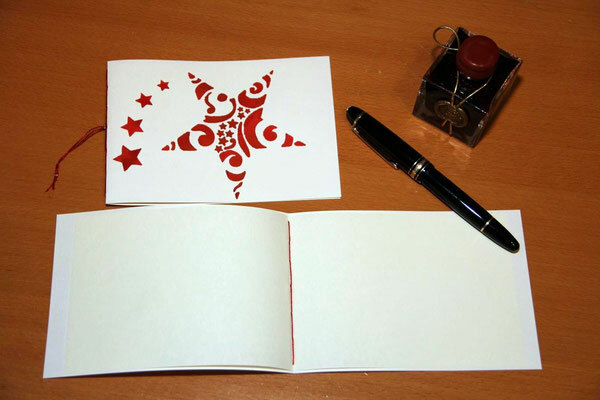 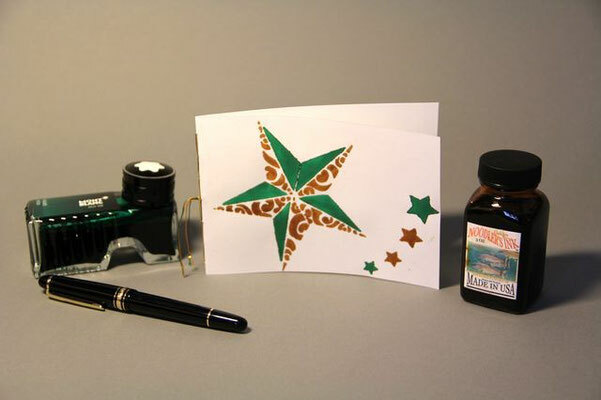 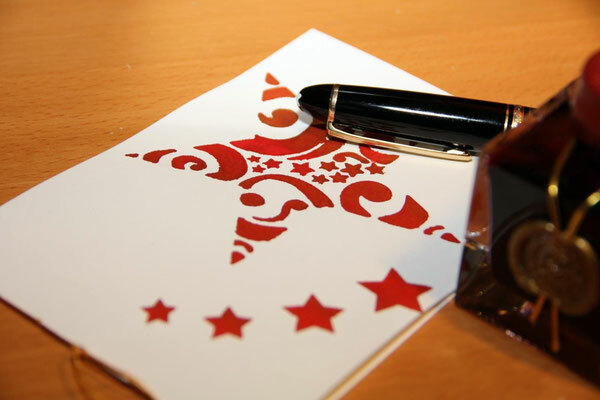 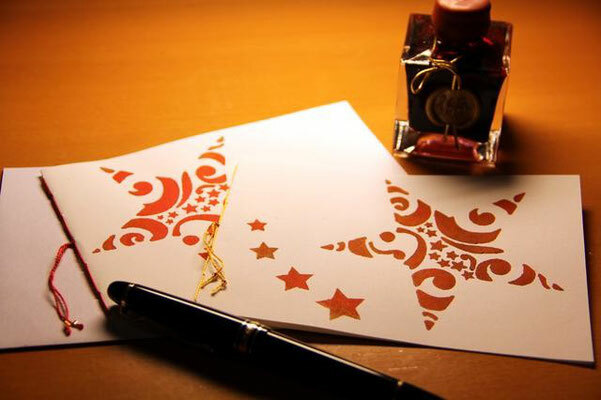 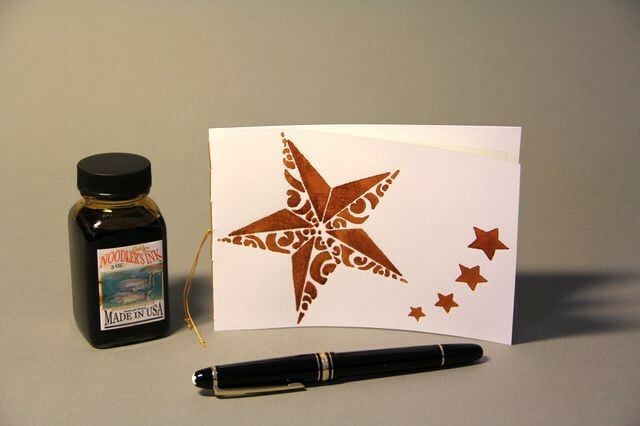 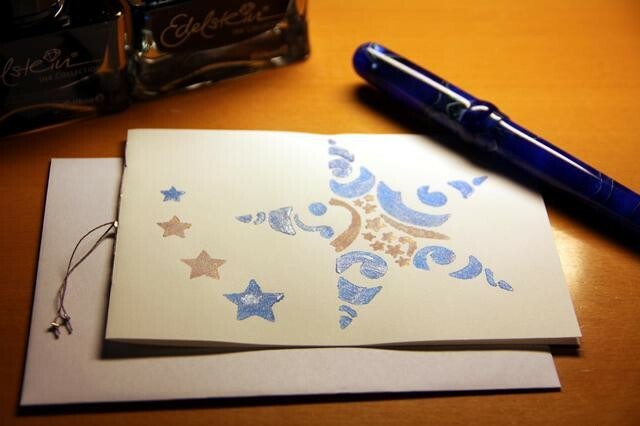 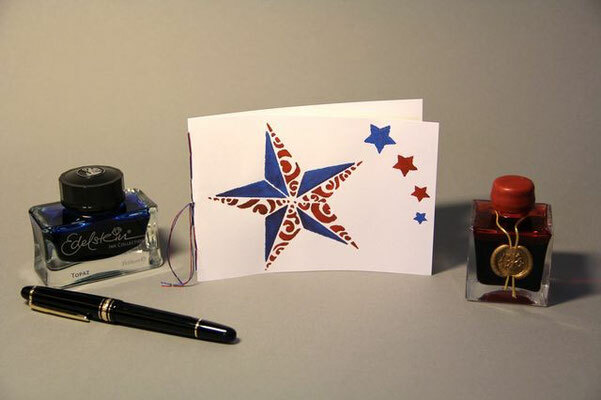 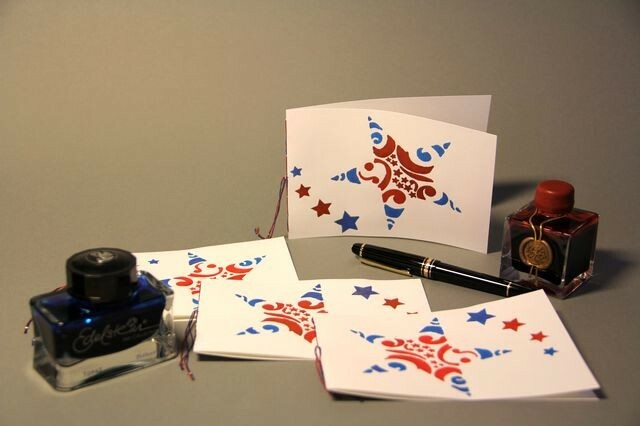 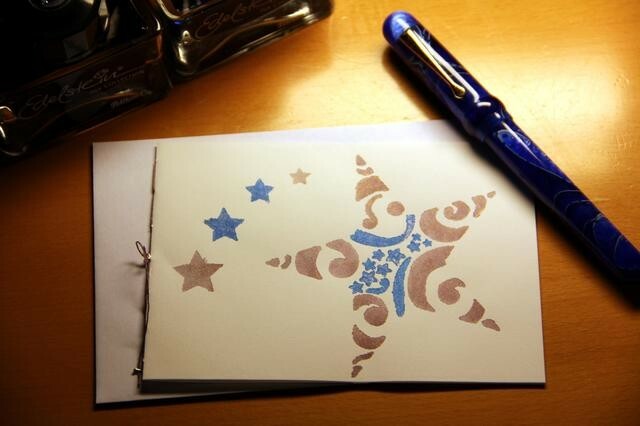 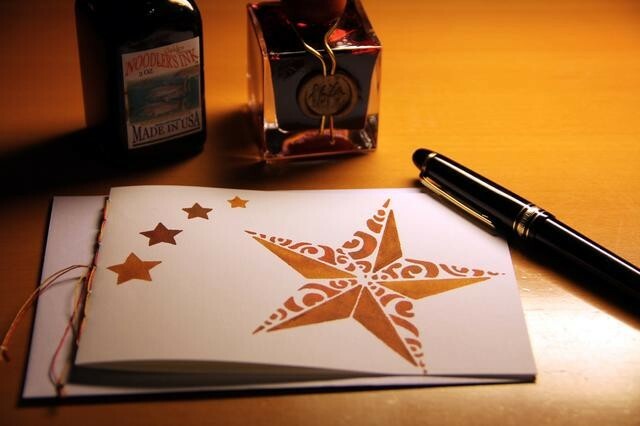 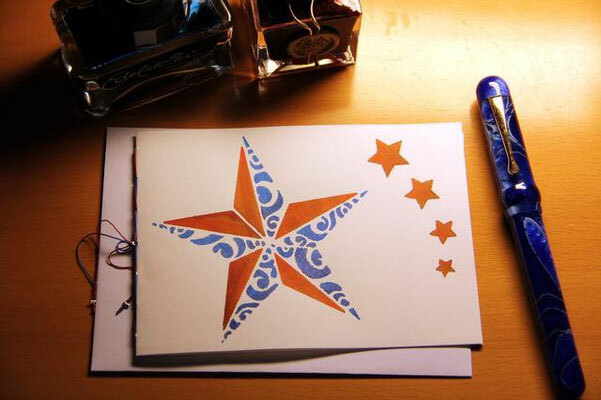 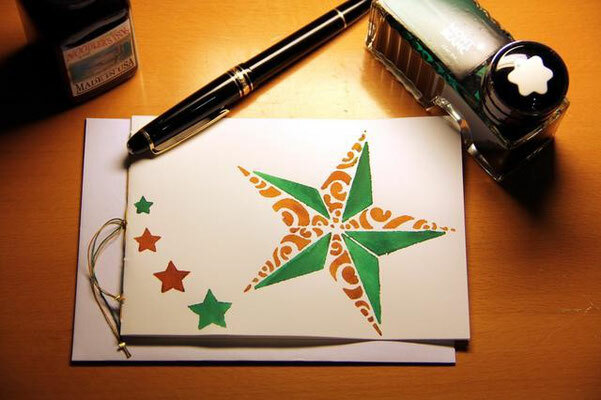 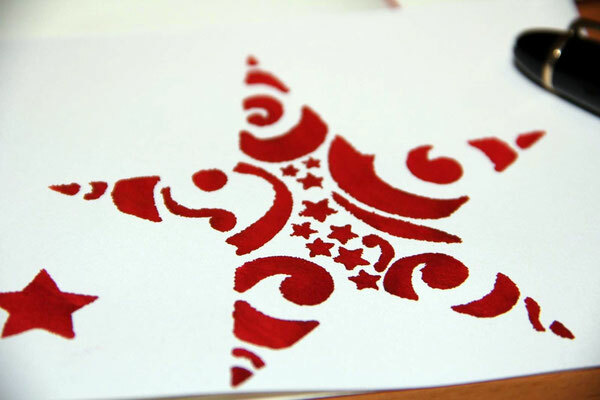 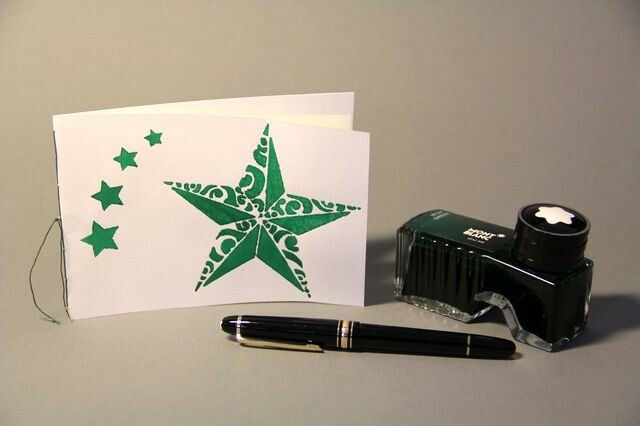 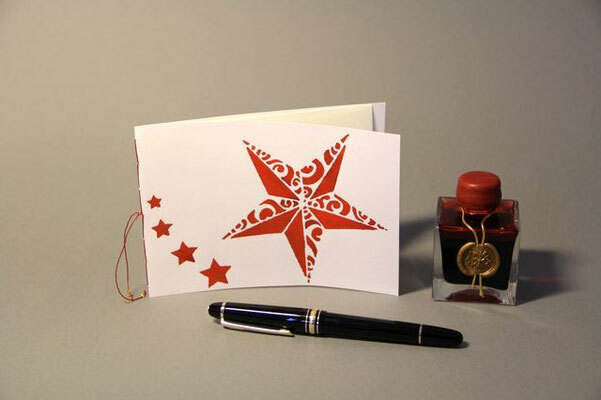 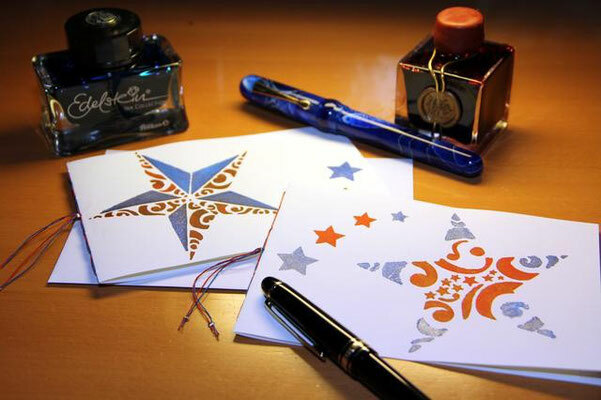 Christmas cards with star motives painted in shimmering and non shimmering fountainpen inks. 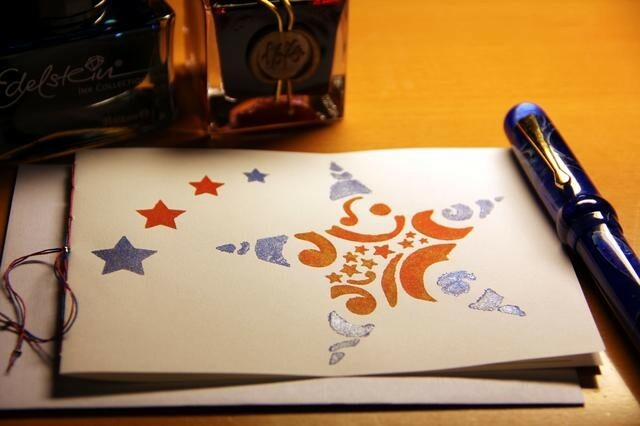 Handpainted with ink by J. Herbin, Montblanc, Pelikan und Noodlers. The cards are handcut and sewn, outer layer "FABRIANO" paper 120-160 g/m², inner layer of the legendary fountainpen-friendly "TOMOE RIVER" paper 52 g/m². 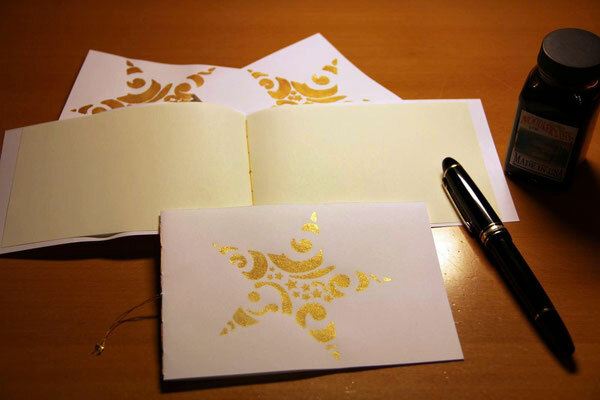 The paper is sewn with color matching sewing silk, the ends of the threads are fixed by metal pearls.